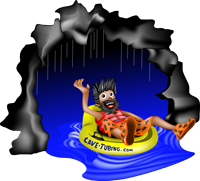 For additional information about our cave tubing tour please direct your questions to info@cave-tubing.com or contact us by telephone. 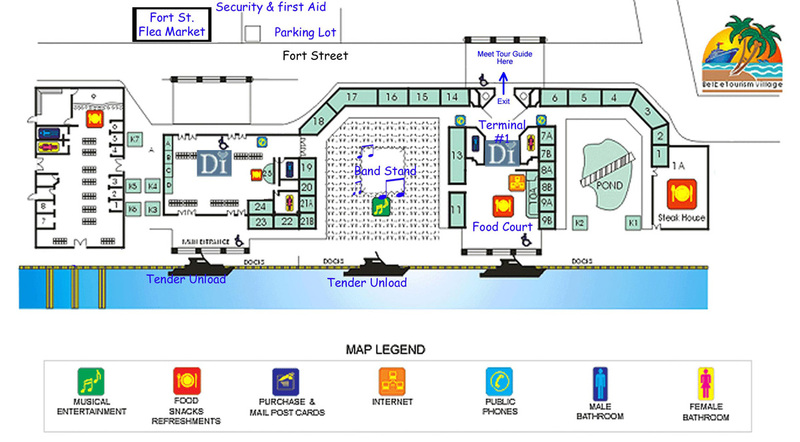 Cruise ship passengers, meet us outside terminal 1. See map below for details. 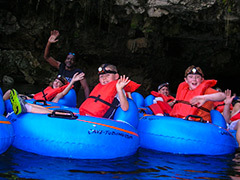 Founded in 2004 by Yhony Rosado, Cave-Tubing.com was the first tour company in Belize to truly specialize in cave tubing. 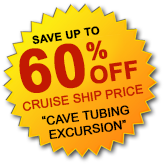 At that time cave tubing was quickly becoming the most popular tour/activity in Belize and a favorite of cruise ship passengers. It was because of this steady increase in popularity that Yhony sought to go all in and to become a cave tubing specialist, a modern day cave man. Today, Cave-Tubing.com is the number one tour operator for cave tubing in Belize and a leader among the other similarly named tour outfits that have recently emerged. What sets us apart is all the extra things that we do to make you feel extra special. Firstly, we provide the best combination of equipment and transportation to ensure your safety and comfort. That is our number one priority. We also take pride in offering the best customer service experience possible by treating all our guests like VIPs. Our guides are famous for going above and beyond to ensure that you are well taken care of every step of the way and for keeping you well entertained on what could otherwise be a boaring bus ride. Who Should Book With Us? While we do make special arrangements for overnight guests and people on extended vacations in Belize, our tours are specially designed for Cruise Ship Passengers who have limited time to experience our beautiful country. All cruise ship passengers can rest assured that we will return them safely and on time to the cruise ship terminal in Belize City. We have never disappointed anyone. Our goal is to give all our customers the best Belize cave tubing tour experience. We make cave tubing in Belize FUN and SAFE for everyone. We especially welcome families with children but please note that there is a minimum height requirement of 40 inches, which is enforced by the Institute of Archaeology. Park officials will not allow entrance to the caves to anyone who does not meet this requirement. Our Cave Tubing Tour package includes transportation, life vests, tubes and head lamps, tour guide, national park fees and refreshments and lunch. Approximately 4 hours is required for this tour. You'll spend about 2 hours traveling to and from the Caves Branch Archaeological Reserve in one of our air conditioned bus or van. After reaching the Caves Branch Archaeological Reserve you will hike for about 30 minutes through the Belize Rain Forest and through a couple dry caves until you come to the opening of the first cave through which the underground Caves Branch river flows. This is where the REAL fun begins as you will be assisted in getting into your inner tube to begin floating through the caves. It's a short but amazing journey of about 45 minutes to an hour. Our new tubes with headrest are now linked or tied so there is no need to hold on to someone else's feet. Please contact us for a price quote. See our Tour Prices page for combo tour package prices. Note: Private transportation is provided for large groups of 25 or more persons. Contact us for more information. Email: info@cave-tubing.com. Bring along sneakers or tenis shoes, water shoes, and towels. Don't forget your sun block and extra clothes. A water proof camera may also come in handy as you will have many opportunities to take great pictures of this fun and memorable cave tubing tour. We provide our guests with safe and reliable transportation between the cruise ship terminal and parks with clean, comfortable, air-conditioned and well maintained coach buses. You and your family's safety and comfort is our number one priority. 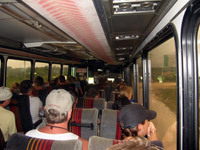 We can guarantee you that you will be much safer riding in one of these big coach buses than in anything else travelling on our Belize highways. 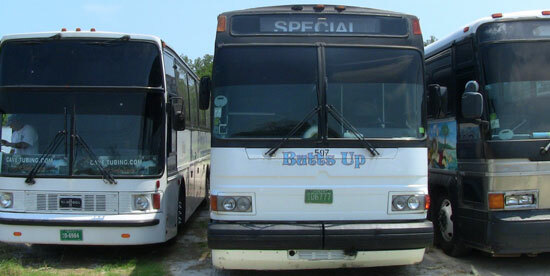 Private transportation by coach bus is available for groups of 25+. Small groups booking private tours will be transported in a one of our late model vans. It is important that you exit through terminal 1 on Fort Street. We will be waiting for you with your name on a sign. Make sure to bring a print out of your confirmation email with you. Important Note: All cruise ships anchor in the Belize City harbor. To get to the terminal, you will need to board a smaller boat called a tender. It takes approximately 20 minutes to tender ashore. When you get to shore enter terminal 1 and walk straight through the exit doors on the opposite end. Not Arriving by Cruise ship? You are more than welcome to book with us! 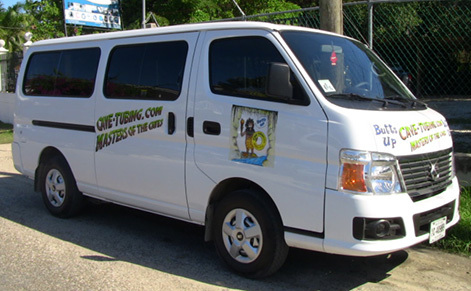 We offer complimentary pick-up service from Belize City hotels, the municipal airport, water taxi terminals and bus terminals. Please specify the name and address of your hotel when completing the reservation form and call at least 1 day in advance to re-confirm. Click here for more information on Special Services offered to overnight visitors. Copyright by: Cave-Tubing.com. All rights reserved.